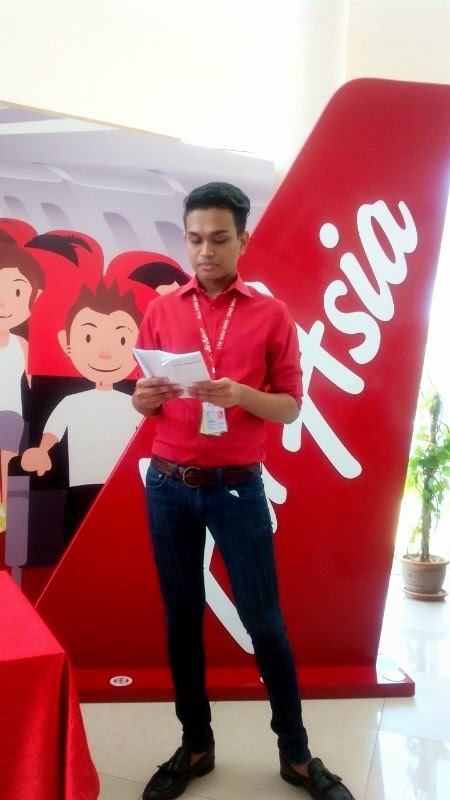 Yours truly was blessed and lucky to be included in the AirAsia Caterham Moto Racing Meet & Greet with Media today at the Asian Aviation Center of Excellence. For those who do is not too familiar with it, the AirAsia Caterham Moto Racing Team is a Malaysian Grand Prix motorcycle racing team owned by the Caterham Group. 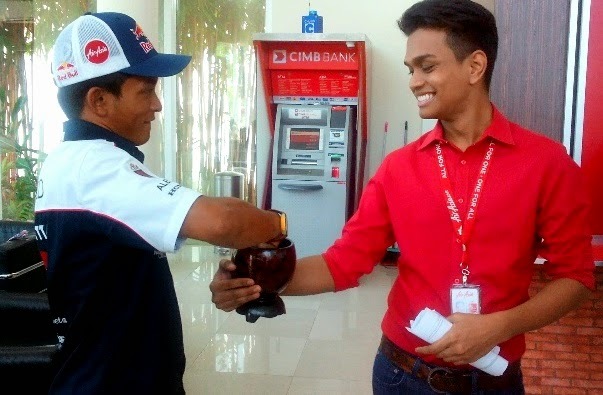 Dato’ Kamarudin Bin Meranun and Tony Fernandes, the Co-Chairmen of Caterham Group, established their own team, the AirAsia Caterham Moto Racing Team in Moto2 since they are both passionate supporters of motorbike racing. The team made its debut in the 2014 season, competing in the Moto2 category. 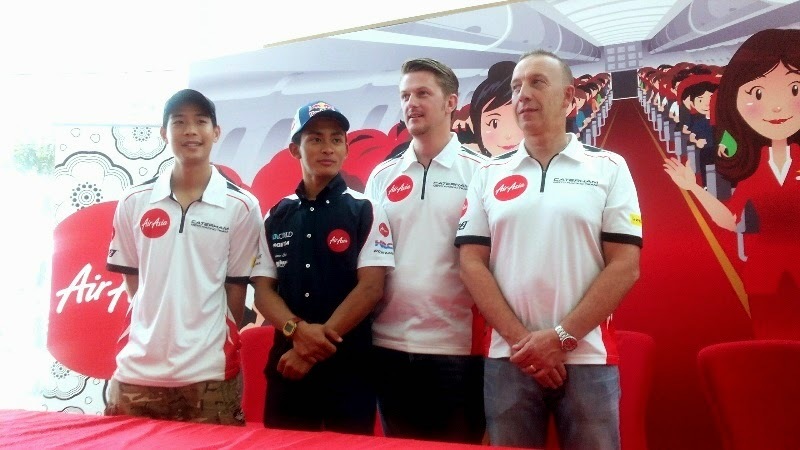 The anticipation was palpable in the air while media friends awaited the arrival of the AirAsia Caterham Moto Racing Team Riders. The riders had just completed the race yesterday at the Japan GP at the Montegi circuit and will be headed to Australia for the Australian GP at Philip Island on 19 October before competing in Malaysia on the 26 October at the Malaysian GP in Sepang . The last GP race for this year will be at Valencia on the 9 November. Established as a World Championship by the FIM (Fédération Internationale de Motocyclisme) in 1949, MotoGP is now into its 65th year. It is the oldest motorsports championship in the world and the premier-class of three racing classes that take to the track on a typical Grand Prix weekend. Formerly labelled ‘500cc’, the championship underwent a change in 2002 with new technical regulations permitting the introduction of four-stroke machinery and increasing the engine capacity to 990cc, thus becoming MotoGP. From 2007 the rules were altered, limiting engine capacity to 800cc, and once again from 2012, setting the maximum engine displacement at 1000cc. MotoGP has been administrated by commercial rights owners Dorna Sports under the supervision of the FIM since 1992. MotoGP™ has a rich history with Grand Prix events having taken place in every corner of the world throughout the last 65 years. More than 2.4 million people came through the gates of the circuits to watch MotoGP in 2013. Italy, Great Britain, Spain, the USA and Australia are just some of the nationalities that have all totalled high numbers in terms of race victories and world titles, the details of which can be found in the Results & Statistics section. As well as the premier class there are also two ultra-competitive World Championship Grand Prix categories, which form part of ‘MotoGP™’. The Moto3™ (formerly 125cc) and Moto2™ (formerly 250cc) World Championships have their own races at each Grand Prix, meaning that by the end of the season three champions are crowned.